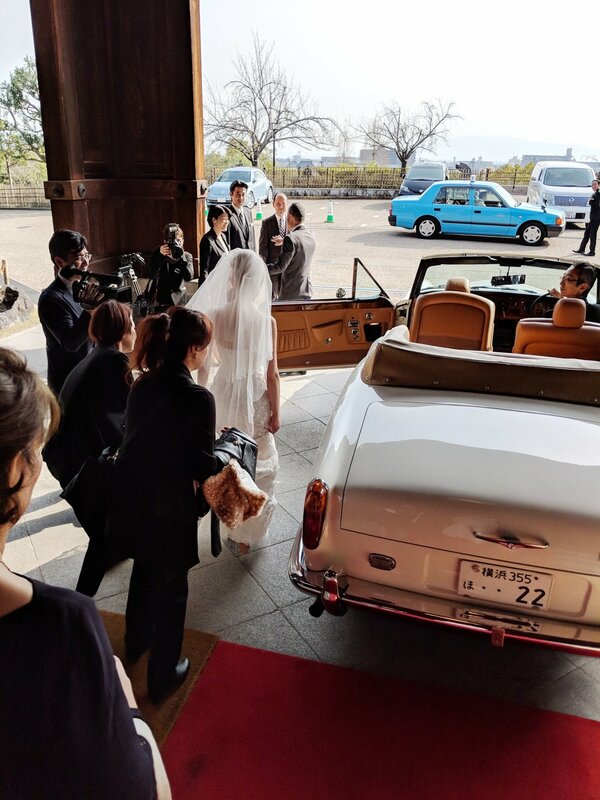 Now that I have all the photos from everyone, I wanted to share some of my favorite photos from our wedding in Nara, Japan. My maid-of-honor and I getting ready. We were reenacting the long process of making sure my eyebrow makeup looked even (I always ask SM if my eyebrow makeup looks even and if it didn't I knew he would have noticed immediately). Our matching sleep shirts are from J Crew. We ended up scheduling way more time than we actually needed to get ready so my Mom, my maid-of-honor and I were able to just relax (...I was too excited to relax). 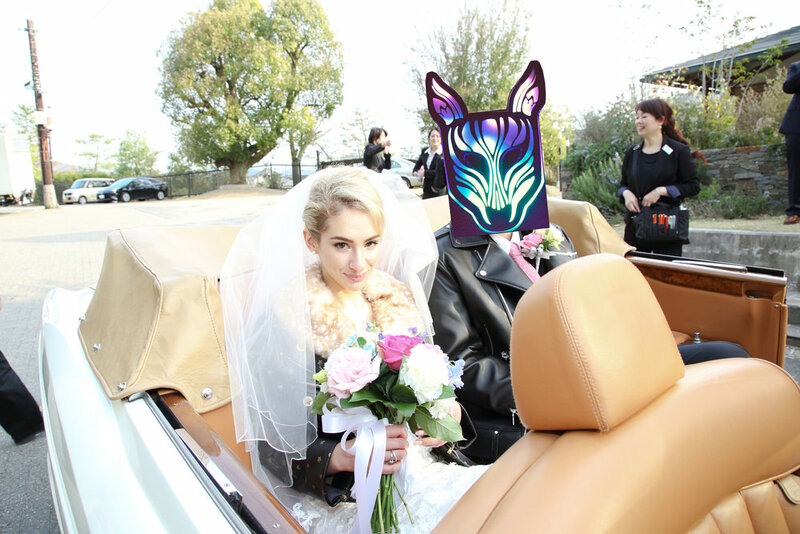 One detail from our wedding that I love so much is that we both wore leather jackets. It was so very us. We did not plan on doing it, but once we found my jacket while shopping at Sretsis it just seemed perfect. My 'Glam Squad'. I think there were more people helping me get ready than there were attending the actual wedding. It was so nice haha. My Mom, maid-of-honor and I were given a ride down to the chapel and I spent the whole ride telling them stories to try and make them laugh so that we wouldn't all cry (but all of my stories were only funny to me haha). After the ceremony, we were given a ride in this car back to the hotel. It was one of our favorite moments because it was the first moment alone together and everything felt so dreamy and magical. My second dress and second hairstyle (I couldn't decide between having my hair up or down, so I was happy that they were able to do it both ways). We had the most whimsical feeling dinner after the ceremony. My favorite moments were : the speeches (everyone gave one), when people gave us advice (everyone went around the table and shared their marital advice), when everyone shared the trivial thing that terrifies them the most, and at the end when we played celebrity heads. After dinner, SM and I ran through the halls of the hotel laughing (I cannot remember why?) and afterwards I briefly fell asleep surrounded by all of the flowers. It was honestly my most favorite day ever.